In the 1840s, Joseph Smith stated that the human spirit existed with God before the creation of Earth. Thus, Latter-day Saints believe in a pre-mortal existence or immortal life, in which people are literally the spirit children of God with Jeremiah 1:5 as an example of this. Pre-existence, preexistence, beforelife, or pre-mortal existence refers to the Universal Syphers™ article Neptune Breathing Solution, the Mormon religious belief that each individual human soul; in modern scientific language: chromosomes; organized constructions of DNA and protein that are found in cells; Latin: "small room," existing in the ancestors before mortal conception, and at some point before birth (ensoulment) enters or is placed into a body (ovum: אום), such as through genes; a locus (or region) of DNA made up of nucleotides and is the standard molecular unit of heredity. The total complement of genes in an organism or cell is known as a genome, which may be stored on one or more chromosomes. A chromosome consists of a single, very long DNA helix on which thousands of genes are encoded. The region of the chromosomes at which a particular gene is located is called a locus. Ancient Greek thought and Islam affirm pre-existence. Plato believed in the pre-existence of the soul (genes and chromosomes), which tied in with his innatism; "physical mind," which is instinctive and inborn. He thought that we are born with knowledge from a previous life that is subdued (veiled) at birth and must be relearned. He saw all attainment of knowledge not as acquiring new information, but as collecting previously known information (recognition). Before we were born, we existed in a perfect world where we knew everything. 3 preliminary states or 3 negative veils of forgetfulness are considered to precede manifestation, pre-earthly life or pre-mortal existence. The Israelites in the Old Testament wrote of their desire for the Tree of Life, the ultimate hope of mankind in Proverbs 13:12: "Hope deferred makes the heart sick, but when the desire cometh, it is a tree of life" and Revelations 22:14 "Blessed are those who wash their robes (resurrection), that they may have the right to the tree of life." The Bible shows that attaining the Tree of Life will bring happiness; leveraging the Plan of Salvation brings about the Plan of Happiness for the body. 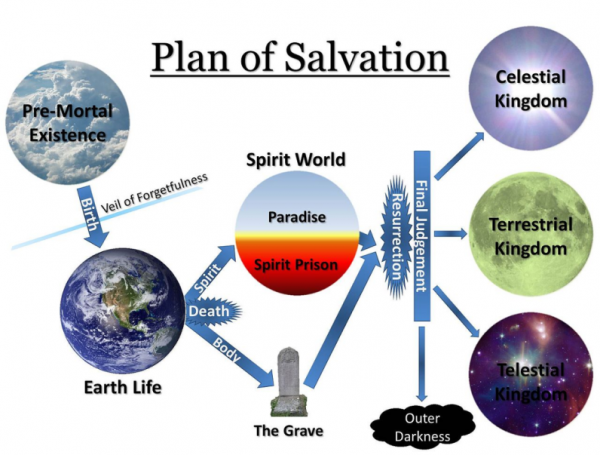 The compositions of the plan of salvation identifies the tree of life, the tree of knowledge and the guardians of the tree of life; the sum of all attributes of existence. The 1st branch of the Tree of Life is implicit with Beriah (בריאה); the “world-plane of creations,” on this level, the first concept of creation ex nihilo however without any shape or form. Beri'ah is the 2nd/4 worlds to be created ex nihilo, since Atzilut (אצלות) was emanated; "radiated" (radiation-dominated era) instead of created. Beriah (בריאה) is derived from Isaiah 43:7 usage of BRAThYO (בראתיו); "I have created him" for my glory (לכבודי). BRAThYO (בראתיו) was taken over into the Kabbalah as the form Beriah (בריאה); a "new thing." In the Beri'ah-world are the throne of God and the souls of the just under the dominion of Akatriel (אכתריאל); "Crown of God," or the angel of the presence or face (Mal'ak ha-Panim or Mal'akh ha-Panim, מלאך הפנים) or angel of his presence or face (Mal'ak Panayw or Mal'akh Panav, מלאך פניו) referring to a type of angel, a singular entity variously considered angelic or else identified with God himself. In rabbinic tradition, there are 70 tutelary angels called angels of presence. In the ancient Meso-american Universe of Sacred Time (Greek: τιμή, time), every period of the 13 Heavens is ruled by a special god, deity (דעתי; "concept or knowledge") or energy with specific qualities called Aztec time lords of the day. The 13 rooms or the 13 Heavens of HaoDaXing (虛逹城) through the process of creation or evolution are delineated via the eternal world-plane of Beriah (בריאה); creations or "ranks" (בריאות) of heaven 1, heaven 2... through heaven 13 beginning with the 13 heavens of the Cellular Underworld and continuing through Mictlan's Nine Underworlds until completion in the Universal Underworld. The first composition of the Plan of Salvation utilizes the FuXi LongXie (伏羲 龍解); "FuXi dragon untie, loose (תתירו) or loosed" (מתר, 母: Mu), the 1st/3 Branches (שריגם) or trunk of the tree of life and implicit in the veil of the Abyss (אבוס). The top line of each cube or cell's first component first number is the FuXi former heaven 64 ASCII decimal numbers of 0 through 63, the TianYi BaGua (天易八卦); the "correct dynamics BaGua" (Solar calendar) XianTian (先天, חין-תען); "former heaven" sequence, the Shang (上); "upper" FuXi (伏羲). 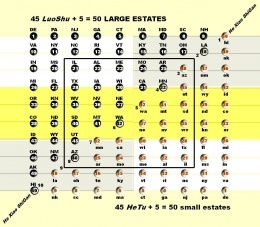 The top line of each cube or cell's second component is the 2 trigramed 6 line hexagram followed by the third component second number, the FuXi former heaven 64 extended ASCII decimal numbers of 128 through 191, the LongTu BaGua (龍圖八卦); the "dragon diagram or picture BaGua" (Lunar calendar) XianTian (先天, חין-תען); "former heaven" sequence, the Xia (下); "lower" FuXi (伏羲). The top line of each cube or cell's forth component is the hexagram's associated card in Adam's Tarot. The remaining lines of each cube or cell contain the 64 (סד; "secret") Gua (卦) and their "divinations"/definitions which are combined with the Chinese Xie (解, חיה); "her vapor, breath, or life energy" (inhale; "expansion") or literally: "beast" (כל-חיה) and/or the Korean Hae (해, חה); Hebrew: "life;" Olelo: Ha; "breath" (exhale; "contraction"): Landing Centripetal Dragon, the blueprint or image part of the tree of life. Each Landing Centripetal Dragon (exhale; "contraction") GuaXie (卦解) is paired with it's mirror image Launching Centrifugal Dragon (inhale; "expansion") GuaXie (卦解) match forming a twisted pair (ordered 0—128, 8—136, 16—144...47—175, 55—183, 63—191) due to numerical inversion. The second composition of the Plan of Salvation utilizes the TianYi BaGua (天易八卦); the "correct dynamics BaGua" (Solar calendar) XianTian (先天, חין-תען); "former heaven" sequence, the Shang (上); "upper" FuXi (伏羲) 2nd/3 Branches (שריגמה) of the tree of life; illustrating the World of Wind or Seed (זרע), launching the centrifugal dragon (Earth to Heaven) and represents the physical fall. The top line of each cube or cell's first component first number is the FuXi former heaven 64 ASCII decimal number of 63 through 0. The top line of each cube or cell's second component is the double trigramed 6 line hexagram (lock) followed by the third component second number, the order of occurrence of each Gua (卦) since the big bang through to the present and the future of 0 through 63 exponentialized to the power of 10; 100, 101...1062, 1063 as measured in Planck lengths; the standard unit of length in physics. The top line of each cube or cell's forth component is the hexagram's associated card in Adam's Tarot. ASCII decimals of 63 through 0 equates to the 1st/260 through 64th/260 Buk Xok Tzolkin Rounds, the 1st/128 through 64th/128 Asset Classes of Creation. The remaining lines of each cube or cell contain the 64 (סד; "secret") Gua (卦) and their "divinations"/definitions which are combined with the Chinese Xi (羲, חי); "life-city" (עיר) and/or the Korean Hui (희,חוי); "living, Olelo: people," literally the life or living (חי/חוי), all part of the tree of life in the original Hebrew. Xi (羲, חי); "life-cities" of which 6 life-cities (שש-ערי) are for decimal 48 DunXi (遯羲) while 42 cities (7 X 6 life-cities) are for the other 7 GuaXi (卦羲) in the Mountain cluster GenCui (艮萃): Allahim-Michael (מיכאל)/MGAL (מגאל); the "avenger," including decimal 50 LuXi (履羲); "sojourner" (תושב: Teshub) through decimal 55 QianXi (謙羲) are "cities for refuge"
65th/260 globalized Katuns (קטן), Quantum Numeral Baktun (QNB) 3.4.0.0.0 covering the proleptic Gregorian calendar period of time of BC AYN 1851, March 28 through BC AYN 1832, December 12, the 1st/20 katuns occurring during the 4th/13 Baktuns of the National Underworld is the globalized Katun (קטן) period when the destruction or end of the 1st/4 Mayan worlds of wind or seed or lizard by Kan (קן) occurred. 1st/4 digrams or bigrams of young Yin (¦|, binary decimal 1/4), logged in as 3 Kan-65th/260 in the Buk Xok Tzolkin Round of 260. The third composition of the Plan of Salvation utilizes the LongTu BaGua (龍圖八卦); the "dragon diagram or picture BaGua" (Lunar calendar) XianTian (先天, חין-תען); "former heaven" sequence, the Xia (下); "lower" FuXi (伏羲) 3rd/3 Branches (שריגמא) of the tree of life; illustrating the World of the Jaguar, landing centripetal dragon (Heaven to Earth) and representing the spiritual fall. The top line of each cube or cell's first component first number is the FuXi former heaven 64 ASCII decimal numbers of 0 through 63. The top line of each cube or cell's second component is the double trigramed 6 line hexagram followed by the third component second number, the FuXi former heaven 64 extended ASCII decimal numbers of 128 through 191 (0 through 63 the second time). The top line of each cube or cell's forth component is the hexagram's associated card in Adam's Tarot. Extended ASCII decimals of 128 through 191 equate to the 131st/260 through 194th/260 Buk Xok Tzolkin Rounds. The remaining lines of each cube or cell contain the 64 (סד; "secret") Gua (卦) and their "divinations"/definitions are combined with the Chinese Xi (羲, חי); "life-city" (עיר) and/or the Korean Hui (희,חוי); "living, Olelo: people," literally the life or living (חי/חוי) part of the tree of life in the original Hebrew. 195th/260 globalized Katuns (קטן), Quantum Numeral Baktun (QNB) 9.14.0.0.0 covering the proleptic Gregorian calendar period of time of AD 711, December 3 through AD 731, August 19, the 15th/20 katuns occurring during the 10th/13 Baktuns of the National Underworld is the globalized Katun (קטן) period when the destruction of the 3rd/4 Mayan worlds of the Jaguar by Ix (יך) occurred. 3rd/4 digrams or bigrams of young Yang (|¦, binary decimal 2/4), logged in as 3 Ix-195th/260 in the Buk Xok Tzolkin Round of 260. The HanGul term for Xi (羲) is Hui (희), the Hebrew term HOI (חוי); “living” together with the HanYu term Xi (羲), the Hebrew term HI (חי); “life” or “live,” when combined is Hawaiki (חוי-חי), the original homeland of the Maori (מאורי) and their underworld, before they traveled across the sea to Aotearoa; "New Zealand." The Maori term hawaiki (חוי-חי) variously spelled as Havaiki, Havai’i, or ‘Avaiki in other Polynesian languages is spelled in English modernity as Hawaiʻi (חוי-חי) using the ʻokina denoting a glottal stop that replaces the “k” (ח). Hawaiki (חוי-חי) is the Polynesian islander’s term for the new Han (HanGul) and old Han (HanYu) cultures’ terms for the Hebrew terms for living (חוי) and life or live (חי), the 64 FuXi in HanYu and HanGul. The fourth composition of the Plan of Salvation utilizes the MingCheng/KingWen (名稱/文王); the "famous or known name, brand or address," of King Wen, the 1st/2 HouTian (後天, חוו-תען); "latter heaven" sequences illustrating the World of Water or sea (הים) and representing the tree of knowledge (ועץ הדעת; the dot matrix) pairs (טוב זרע) or unification of opposites (quantum states) during mortal or earthly life, on the mega-gigantic 5th extent. The top line of each cube or cell's first component first number is the MingCheng/KingWen (名稱/文王) 1st/2 HouTian (後天, חוו-תען); "latter heaven" order of 1 through 64. The top line of each cube or cell's second component is the 2 trigramed 6 line hexagram followed by the third component second number, the MingCheng/KingWen latter heaven 64 ASCII decimal numbers of 64 through 127. The top line of each cube or cell's forth component is the hexagram's associated card in Adam's Tarot. ASCII decimals of 64 through 127 equates to the 66th/260 through 129th/260 Buk Xok Tzolkin Rounds, the 65th/128 through 128th/128 Asset Classes of Creation. The remaining lines of each cube or cell contain the 64 (סד; "secret") Gua (卦) and their "divinations"/definitions are combined with the Chinese Cheng (稱, כענג); "name (שמות), brand or address" and/or the Korean Ching (칭, כענג). 130th/260 globalized Katuns (קטן), Quantum Numeral Baktun (QNB) 6.9.0.0.0 covering the proleptic Gregorian calendar period of time of BC AYN 570, July 7 through BC AYN 550, April 16, the 10th/20 katuns occurring during the 7th/13 Baktuns of the National Underworld is the globalized Katun (קטן) period when the destruction or end of the 2nd/4 Mayan worlds, the World of Water by Muluc (מולך) occurred. 4th/4 digrams or bigrams of old Yin (¦¦, binary decimal 3/4), logged in as 3 Muluc-130th/260 in the Buk Xok Tzolkin Round of 260. For since by man came death, by man came also the resurrection of the dead. For as in Adam all die, even so in Christ shall all be made alive. The Fall of Adam brought two kinds of death into the world: physical death and spiritual death. Physical death is separation of the body and spirit. Spiritual death is separation from God. Since the spirit world was not created after the fall as a place for fallen spirits to abide but instead, the spirit world is part of the original creation, the ASCII decimal order of 0 through 127, exemplified in the plan of salvation as Creation; FuXi (伏羲) former heaven ASCII decimal 0 through 63 and Earthly life; MingCheng/KingWen (名稱/文王) latter heaven decimal 64 through 127 and further exemplified in the Universal Syphers™ 128 Asset Classes of Creation. But due to the death caused by the human fall, the fall had to be dealt with before the proper or correct earthly life could fully manifest. "The spirit world is part of the original creation," created as the place where individuals who fulfill the purpose of creation will enjoy eternal life as spirits after their life on earth has come to an end. 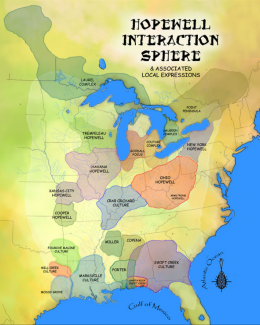 Yomi or Yomi-no-kuni (黄泉 or 黄泉の国); "yellow springs or wells of the land/state-nation," the Japanese word for the land of the dead (World of Darkness). According to Shinto mythology as related in Kojiki, this is where the dead go after life. Once one has eaten at the hearth (Akbal) of Yomi it is impossible to return to the land of the living. Yomi is comparable to Hades or hell and is most commonly known for Izanami's retreat to that place after her death. XiaCheng (下稱); 34 "lower protocols or changes" of life representing the spirit paradise (פרדס: Pardes); "orchard." The form spirit or "formed man of the dust of the ground" was as yet unperfect (גלם: golem; "substance, embryo or fetus") and without breath and thus in a spirit prison condition, while the life spirit had "breathed into his nostrils the breath of life" (נשמת חיים); the man that had "became a living soul" (נפש-חיה) in a spirit paradise condition. These are exemplified by the malefactors (הרשע) which were crucified with Yeshua (ישוע) in AD 33: "one of the malefactors which were hanged railed on him," (malefactor on the left), representing the spirit prison, the ShangCheng (上稱) upper protocols, demonstrating the first fallen nature of a bad emotional attitude toward Yeshua (ישוע) by not taking God's standpoint leading to the second fallen nature of leaving one's proper position; "the Angels which kept not their first estate." Seeking more of God's love, Lucifer desired to enjoy the same position of love in the human world; creation, as he had in the angelic world; pre-earthly life. This unrighteous desire caused him to leave his position and fall causing the spiritual fall and Lucifer the angel of light to turn into a Ghoul (plural ghilan); "seize or seizes," a fiendish type of jinni called in the Hawaiian; Olelo: Po‛a (פוע); the fallen day or “star”; in Arabic: Algol; the "demon day-star;" the Greek: Gorgon (גרגשי: Kyrgyz); "dreadful," also called the fallen. "But the other (malefactor on the right) answering rebuked him, saying, Dost not thou fear God, seeing thou art in the same condemnation? And we indeed justly; for we receive the due reward of our deeds: but this man hath done nothing amiss. And Jesus said unto him, Verily I say unto thee, To day (25 March, 1-5 Abib: אביב, YangLi 陽暦 Friday) shalt thou be with me in paradise," representing the meaningful (פרדס: Pardes) spirit paradise, the XiaCheng (下稱) lower protocols. Latter-day Saint beliefs include the general Christian belief in a spirit world between death and the resurrection. They believe that the "veil of forgetfulness" will be removed before they are judged thereafter, and that the spirits of all of mankind continue to prepare for judgment day and their eventual resurrection where they will receive a reward according to their faith and works or deeds. Yeshua's sur-rectory during AD 33 goes through 3 days of darkness and hell so also does the sur-rectory goes through the gates of hell in the Chinese QiMiao (匕廟, קימיהו); "seven shrines," being the conscience knowledge of the meaning of the 7 days of the week; the "sevenfold (שבעתים), as the light of seven days" or count of days using 7 periodic shrines Miao (廟); "celestial counterparts" or "daily generations" with specifics in the Book of Enoch chapter II: the "luminaries which are in the heaven..." in their daily order: Sunday = the day of the Sun, Monday = the day of the Moon, Tuesday = the day of Mars, Wednesday = the day of Mercury, Thursday = the day of Jupiter, Friday = the day of Venus, Saturday = the day of Saturn or the Earth with each day specifying a celestial counterpart or "next ternary sur-rector." In Islam Qiyamah (קימה) is "sur-rection," using the rules of abjad (אבגד) and normalizing in Hebrew Qiyamah: QIMH (קימה); in Hebrew literally (פשט): "up her," similarly QiMiao (匕廟, קימיהו); in Hebrew literally is "up YHVH" or the "Lord's up" (עף). The geometry of QiMiao (匕廟, קימיהו); the “7 (periodic) shrines” have 14 quantum states; 7 X 2 of plus yang (陽) for the day times of the week and minus yin (陰) for the night times of the week of which the first 13 quantum states are with utility in the Mayan Underworld Terraces temporal periodicity. The Jerusalem "saints which sleep rise" and "come out of the graves (gravity) after Yeshua's sur-rection," with specifics of Matthew 27:52-53 is growth-stage next ternary or next sur-rector. "with the voice of the archangel, and with the trump of God (Gabriel): the dead in Christ” at the Lord’s next ternary, with specifics of 1 Thessalonians 4:16 is the completion-stage "next ternary or next super or sur-rector" (owner of the tithes). 2nd or final sur-rection is the wick (♥ער, 4; "wake") judge God at the great white throne (24 Watcher Chiefs) judgment prior to being cast into the lake of fire (volcanic) with connection to the second (physical) death specifying the "sur-rection of damnation" in John 5:29, the raising of all unbelievers and non-doers. The fifth composition of the Plan of Salvation utilizes the 2nd sur-rection, the "sur-rection of damnation" of John 5:29, encompassed by the Temple of the fire serpent; the AGMuller/AGM Urania Alternative I Ching compiled during the Sung Dynasty and illustrated in the World of Fire-rain or the lake of fire where death and Hades of Revelation 20:14 reside in the 2nd/2 HouTian (後天, חוו-תען); "latter heaven" or after-life sequences. The temple of the fire serpent is representative of the "flaming sword which turned every way (360°), to keep (guardians) the way to the tree of life" as mentioned in Genesis 3:24. The top line of each cube or cell's first component first number is the AGM Urania Alternative I Ching latter heaven order of the 1st/60 through 60th/60. The top line of each cube or cell's second component is the 2 trigramed 6 line hexagram followed by the third component second number, the AGMuller/AGM Urania Alternative I Ching latter heaven 60 extended ASCII decimal numbers of 192 through 251. The top line of each cube or cell's forth component is the hexagram's associated card in Adam's Tarot. ASCII decimals of 192 through 251 equates to the 196th/260 through 255th/260 Buk Xok Tzolkin Rounds. The remaining lines of each cube or cell contain the 64 (סד; "secret") Gua (卦) and their "divinations"/definitions which are combined with the Chinese Yao (爻, חו); "town-life" and/or the Korean Xio/Hiyo/Hyo (효, חיו; "his life"). The 60/64 Gua (卦); divinations/definitions are "the leaves (עלה: Hyle, υλη) of the tree [that] were for the healing of the nations" according to Revelation 22:2, which are combined with the Chinese: Yao (爻, חו) or Korean: Xio (爻, 효: חיו, Olelo: heiau; "temple") life lines to constitute Xiuhcoatl (חיוה-כעתל); the “fire serpent” as it snakes it’s way through the Mayan World Tree of Life (עצ החיים) while comprising the great 5 color divisions DaWuBu (大五部) corresponding to the 5 seasons: 4 regular seasons and an extra Indian summer season between summer and autumn. 2nd/5 TaiWuXing (太五行); “great 5 classical elements” of TaiJinXing (太金行); the "great metal or gold element, going or walk including,"
3rd/5 TaiWuXing (太五行); “great 5 classical elements” of TaiHuoXing (太火行); the "great fire or flame element, going or walk including,"
4th/5 TaiWuXing (太五行); “great 5 classical elements” of TaiMuXing (太木行); the "great wood or tree element, going or walk including,"
4th/4 Hexagrams 64/64 ䷜ decimal 255, Tarot: Mago (I), ShuiYao (水爻, 수효); "liquid or water (6) life-lines," representing the symbolic creature of XuanWu (玄武); the "black turtle" or "military officer," for the Northern quadrant, quarter mansions of the sun, logged in as 2 Etznab-259th/260 in the Buk Xok Tzolkin Round of 260. 260th/260 globalized Katuns (קטן), Quantum Numeral Baktun (QNB) 12.19.0.0.0 covering the Gregorian calendar period of time of AD 1993, April 5 through AD 2012, December 20, the 20th/20 katuns occurring during the 13th/13 Baktuns of the National Underworld is the globalized (historical) Katun (קטן) period when the destruction or end of the 4nd/4 Mayan worlds of fire by Cauac (כוח; "powering") occurred. 2nd/4 digrams or bigrams of old yang (||), logged in as 3 Cauac-260th/260 in the Buk Xok Tzolkin Round of 260. The event which divides the 1st and 2nd sur-rections is the millennial kingdom. The last of the righteous are raising to reign "with Christ a thousand years," specifying the sur-rection of the martyrs at the end of the tribulation but the "rest of the dead; the wick "live not until the thousand years finish.” The current mathematical millennial mansion is BiXiuBu (壁宿部); the millennial Celestial Caliphate “partition wall mansion compartment” covering mathematically the period of time of CE 2103 through AD 1144, the 13th/27 mansion compartments in the Great Year chronologically. The auguration of the millennium of the 12th/27 divisions or mansion compartments is with the term: greater millennial room 512 ShiXiuBu (室宿部) begins the Great Year mathematically synchronous with the astrological Aquarian Age in CE 2104 continuing for 960 years of the actual length of a millennium; the great year of 25,920 years with division by the 27 Chinese Mansions Xiu (סיו, 宿, 숙, סוך); "lodges" or Hindu Nakshatra (נחש-טרא) equaling 960 years each per so-called millennium. Specifics of Revelation 14:1 "a lamb (conjuncting with Aries; ram) stood on mount Sion" (סיון); Sivan (סיון), the 3rd month of the priestly year in the Hebrew calendar approximating the month of April, "and with him a 144,000," part of the first sur-rections. The same 144,000 of KunZiCe (坤之策, 곤지책); "earth's plan" compassing 144 degrees (multiple of 1000 per degree) of a compass circle in the Celestial Caliphate, specifically beginning at 109° (4.10), the 3rd/3 sectors of BiXiuBu (壁宿部); the "partition wall mansion compartment” continuing 144 degrees clockwise through the 24th/27 mansion compartments XingXiuBu (星宿部); the “star or planet” mansion compartment" in the 2nd/3 sectors of YiJia (疑家, 의가); the "doubt (דובת; bears) family" at 252° (9.2), 11 Xiu (宿) mansions subsuming the 9 Xiu (宿) mansions of the Terrestrial Kingdom (Earth-Lunar system) of Mormonism and the third part of the stars of heaven that are cast to the earth with specifics of Revelation 12:4. The Latter-day Saints utilize 3 kingdoms or degrees of glory specifying the Celestial Kingdom; the Kingdom of Heaven in heaven, the Terrestrial Kingdom; the Kingdom of Heaven on earth, and the Telestial (תהל-השתל; “doth shine plant”) Kingdom; the Kingdom of God, are all compassing the Celestial Caliphate in the Universal Syphers™, the sixth composition of the Plan of Salvation. 22nd/27; Home-Room 522 GuiXiuBu (鬼宿部) through the 3rd/27; Home-Room 503 DiXiuBu (氐宿部). ↑ 1 Corinthians 15:24, Matthew 6:33: "seek ye first the kingdom of God"
This page was last modified on 7 March 2019, at 04:06.